Key tags are a great variation on the traditional ID card, and can be tremendously beneficial to customer loyalty programs. Instead of reaching into their wallets to find a membership or loyalty card, or remembering to bring a card with them in the first place, key tags are handily stored on your already existing key chain for ready access. Starting a gift card program can have major benefits for your business. With the holiday season in full swing, gift cards can be a great way to reward customers and clients and encourage loyalty in the coming year. Starting a customer loyalty program can go a long way to building lasting relationships with your customers. It seems like you can’t shop anywhere today without being offered the many perks that come along with signing up for a loyalty card. Whether it’s a frequent scoop card at your local frozen yogurt shop, a card that entitles you to discounts at your favorite clothing store, or a card that gives you access to special sales and promotions at a grocery store, customer loyalty programs offer a way for businesses of all genres to show their appreciation for their customers. Customer loyalty cards are a great way to increase business and keep an edge over the competition. Starting a customer card program is an easy way to provide customers incentives to stay loyal to your business. Perfect for any kind of retail application, cards are commonly used in everything from fashion to grocery stores to home improvement stores. Like many schools, Cal State Fullerton is finding new ways to increase the functionality of its student ID cards. This year, students can use their TitanCards for a variety of services including cashless payment, discount and rewards programs, and even keyless entry to dorms and other school facilities. Looking for a way to make your cards more vibrant and eye-catching? Consider color PVC cards. 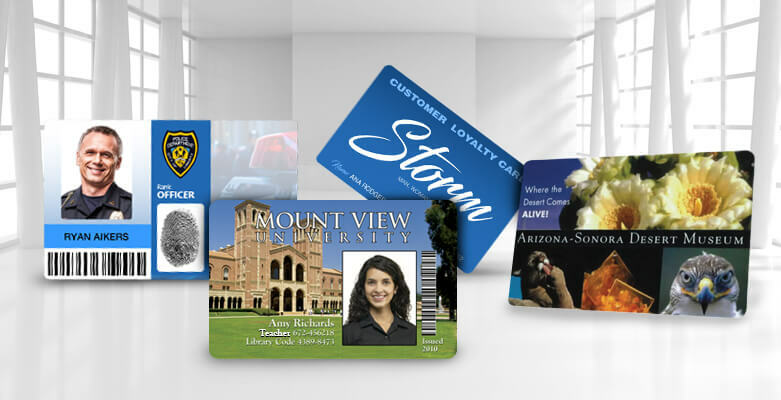 They're perfect for applications such as membership and loyalty programs, gift cards, reward card programs, name tags, employee badges, and more. England's Bristol City Football club is introducing a new smart card program that will award loyalty points to fans who frequently attend away games during the upcoming season. Yes, this is the world of European Football (don't call it soccer), where faithful followers demonstrate unbridled fanaticism by traveling with their teams. The rewards program is just one way the club is taking advantage of their new smart card ticketing system, in which fans can purchase "season cards" containing electronic tickets. Those little rewards cards are everywhere – grocery stores and membership clubs pass them out and customers use them to get discounts and special deals when buying groceries and other everyday households.